Please select an option Black/sky Black pin stripe Black sky Black/flower Black/blue Red flower Blue flower Yellow flower Please select a Pattern. 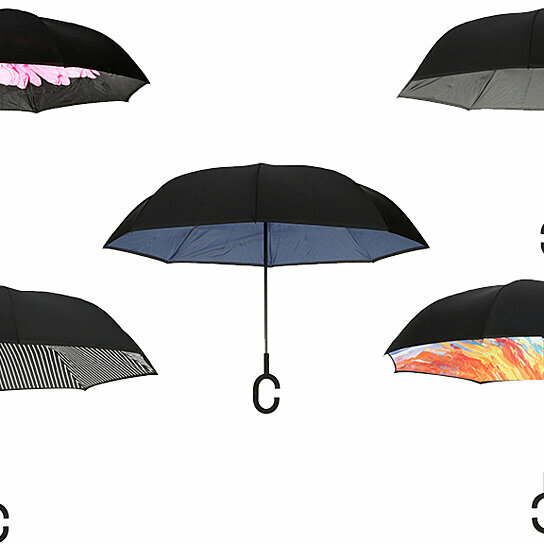 Upgrade your umbrella with the new Windproof, Reverse Opening, Upside Down Umbrella. Through rain or wind, this umbrella will protect you and keep you dry. Gone are the days of your umbrella struggles!